“Commanding Attention” is the cover painting for the April 2019 edition of the Pennsylvania Game News magazine. 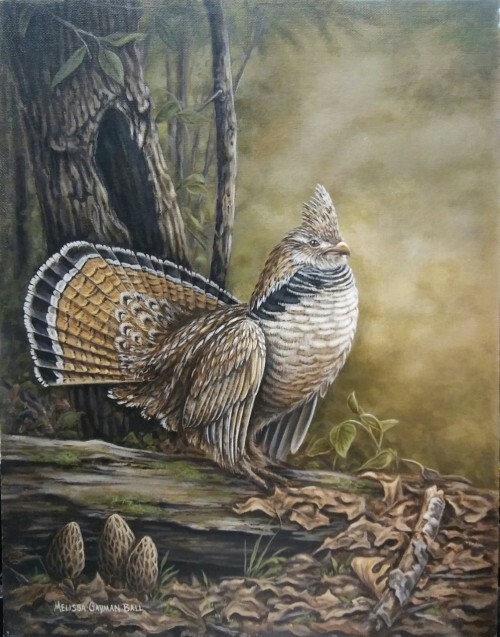 The painting depicts a male ruffed grouse drumming hoping to draw the attention of a potential mate. This print is a canvas giclee’ print with an edition size of 150 signed/#’d prints. Prints are $95.